Our support groups give family caregivers the chance to connect, to compare similar journeys, to share practical advice, and to discuss frustrations, fears and hopes. All support groups are free and open to the public. Feel free to register or just show up! Call us at 703-204-4664 or email a support group leader if you have questions about which support group is a good fit for you. All are welcome to attend this group meeting bi-monthly for family and friends of those with Alzheimer's disease or other memory impairments. This group allows caregivers to share practical advice, discuss frustrations and fears, and connect with others on a similar journey. For more information, contact Lindsey Vajpeyi by email, or at 703-204-4664. Respite offered at no charge during group meetings. Please call ahead to make arrangements. This group is specifically designed for caregivers whose loved one has received a recent diagnosis of dementia or is in the early stages of the disease. Your loved one does not need to attend the adult day health center; respite care is offered at no charge during the meeting time if needed. Get to know other families who are in a similar situation, while also learning caregiving tips and sharing personal concerns and successes. For more information, contact Lindsey Vajpeyi by email, or call 703-204-4664. This group meets at 3953 Pender Drive, Suite 100, Fairfax, VA 22030. Do you have a friend or family member with Lewy Body dementia? Join us for this group to learn more about this specific type of dementia, and share with others who also have loved ones with the disease. 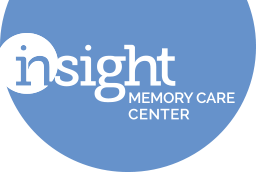 This group is specifically designed for caregivers whose loved one has received a diagnosis of frontotemporal degeneration. Get to know other families who are in a similar situation, while also learning practical caregiving tips and sharing personal concerns and successes. This group is specifically designed for individuals living with MCI or early stage dementia to come together and make connections, discuss struggles and fears, and share successes. You do not need to attend our Reconnections program to attend; all are welcome to come and share with others on a similar journey. For more information, contact Lindsey Vajpeyi by email, Rodney Thim by email, or call 703-204-4664.